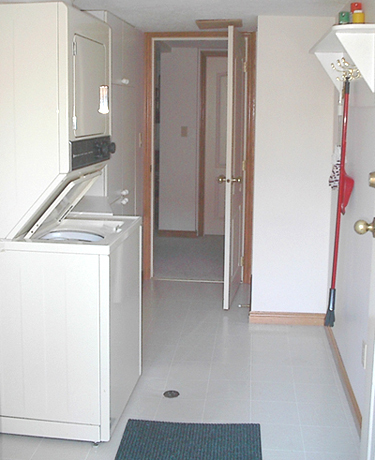 There is a laundry room with a stacking washer and dryer. Beside the washer and dryer is a folding table. There are hooks to hang your coats and other things on in the laundry room as well. THE BATHROOM HAS A JACCUZZI TUB/SHOWER AND INCLUDES BATH TOWELS, FACE CLOTHS, AND HAND SOAP. 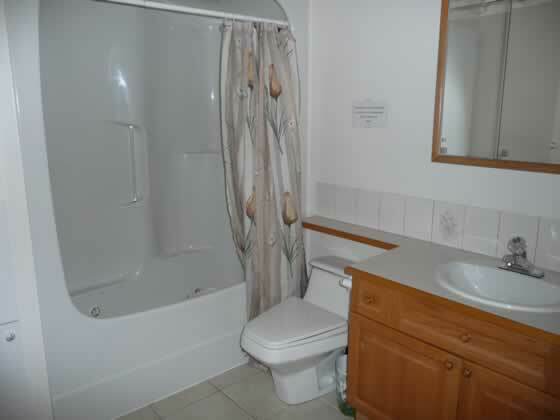 There is one bathroom with a sink, toilet, full shower/jacuzzi, soap, lots of bath and beach towels, plus wash cloths.